A 20+oz Bullet Jet Head with a short Feather/Rubber skirt combo. Rigged with a Stainless hook, stiff rigged with heavy heat shrink tubing and 24" of 600lb test stainless cable and finished with a stainless thimble. 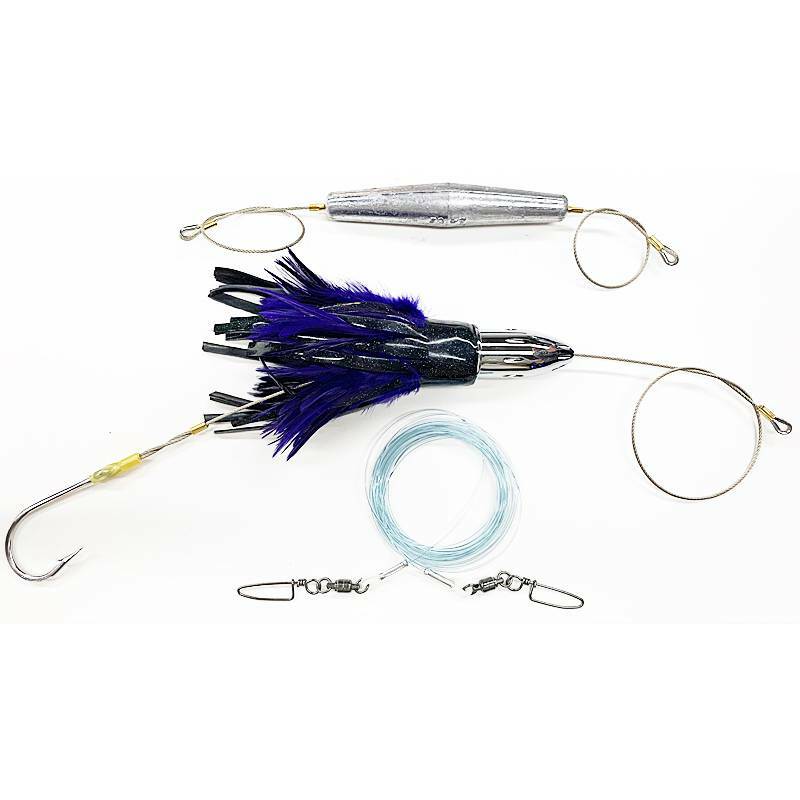 Comes with a 20ft 200lb test shock leader with 250lb BB Snap Swivels on each end and a 24oz trolling weight rigged with 600lb test cable and stainless thimbles.